Since 2007 Austria has received the poorest score on the Tobacco Control Scale. While smoking prevalence and tobacco consumption decreased on average in the European Union, an opposite trend has occurred in Austria. 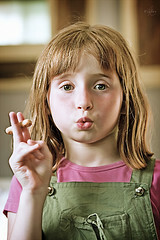 Child smoking has increased dramatically since the 1990s. Cigarettes are available around the clock in thousands of vending machines, circumventing advertising bans and enabling easy access by children. Legally, cigarettes can be bought at age 16, but half of 13-15 year olds smokers reported having bought cigarettes in tobacco shops. At age 15 already 18% of boys and 21% of girls are smoking daily. Tobacco shops are permitted to sell goods aimed at children and both indoor smoking and tobacco advertising is permitted. Tobacconists also distribute newspapers and are a powerful lobby group. Annual state revenues from cigarette consumption by minors in Austria exceeded 60 million €, but none of this revenue was budgeted for tobacco use prevention. With minor exceptions much of this work is left to unpaid volunteers (e.g. www.aerzteinitiative.at). Children are permitted to enter smoking rooms and public smoking is visible to children as a normal adult behavior in most hospitality venues. While Austria ratified the WHO FCTC in 2005, it has had limited impact until now. Partial smoking bans were introduced in 2001 in workplaces and in public places in 2009 (with sanctions for violations), but this law is not well enforced. A further summary of the law and the associated problems can be read here. The smoking ban in hospitality venues larger than 50m² provided the possibility of smoking rooms and the provisions that smoke should not leak into the nonsmoking areas was infringed regularly. Other violations of the partial smoking ban in the hospitality industry had to be reported by customers and were treated with long delays by local municipalities, a time-consuming method to enforce the law and frequently unsuccessful, even if taken to court. Because partial smoking bans have failed, amendments to the tobacco law were prepared by the government, foreseeing a total ban in all schools (up to now in compulsory schools only), in the hospitality industry (including clubs, tents, multipurpose rooms), in hotels (except for smoking rooms, which must not serve for eating, drinking or sleeping), in all commercial transportation, and in tobacco shops used for mailing and other purposes, which still need to be specified. Use of water pipes or electronic cigarettes will also be banned where smoking is forbidden. Crucial elements still missing from the legislation are: technical specifications for smoking rooms, such as a clear definition of their use for smoking only, clarification that the smoking ban applies to all rooms of hospitality venues (including kitchen, corridors, etc. ), a ban on smoking and tobacco advertising in all shops and rooms accessible to minors, and a smoking ban in hospitals, on children’s playgrounds and in private cars carrying children. The EU Tobacco Product Directive still needs to be included in the draft Austrian legislation and necessitates that the law enters into force in May 2016. The present plan to postpone this date until May 2018 is irresponsible and demonstrates the weakness of the government against the chamber of commerce. The worst omission of the new Austrian draft is the lack of improvement in implementation and enforcement of the law. The present system of reporting violations by customers has failed, especially in small communities with only one inn where filing a complaint would be too personally risky. For example, some people who reported local innkeepers were pictured on a “wanted poster” at the entrance of the inn and were then forbidden to reenter. Officials who were sent to venues for inspections only after customer complaint, could downplay the offence or postpone the decision by up to 28 months. During this time no other complaint about the same venue would be investigated. It appears that this ineffective enforcement system will be continued. The draft law only names work inspection and food inspection as additional possibilities for control, but only during routine visits done for other purposes, and in the case of serious offences. Additionally, the draft law states that these controls must not incur extra costs. It is doubtful that rare and announced controls by such inspectors will improve the already poor compliance. Improving compliance for the better may require police assistance, as they could make unannounced controls during busy periods, such as at night in discotheques and other venues where young people meet.